Coast Bail Bonds is an agency designed to help you bail out yourself, your friends, family and loved ones. We offer the highest of quality service in the bail industry, top tier bail bond agents with experience. We also provide a place where families and friends can come to find information regarding Anaheim bail bond services. Our goal is to give people informative information in Anaheim for bail bonds, to help you better understand the bail process. 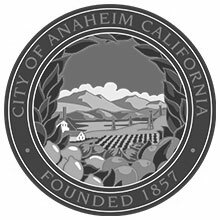 Our website provides information that will help you understand the Anaheim bail procedure. To get the bail process started, please give us a call immediately at (888) 998-1554, we want to help you! Smaller bail bond companies are dealing in a very competitive market that relies on repeat business and word of mouth. Smaller bail bond companies know that customer service does in fact go along way. Small bail bond companies pay special attention to you, your friends and families. Offering a personal touch is important in Anaheim for bail bonds to succeed. There bail experts are there to offer you quick bail bond information and sense of relief knowing you are in the hands of bail bond experts. In the bail bonds world the most important thing is how quickly a bail can be processed. A bail bond agent will work as quickly as possible to help process bail. A bail bond agent in Anaheim knows how important it is to help get someone out of jail quickly. Coast Bail Bonds in Anaheim is a website designed to help you find the best bail bond agent in Southern California. If you are a lawyer looking to find a bail bond agent in Anaheim please feel free to contact us. As a lawyer we understand the importance of your client and their confidentiality. We are available 24hrs a day 7 days a week to ensure that bail process will be available. Many of the clients we have come in contact with are new bailing someone out of jail in Anaheim. Our agents understand that during this time it is important for us to be compassionate and understanding for each client situation. Our goal is to give our clients the best experience possible by providing all the legal documentation and explaining how the process works. The licensed bail agent will guide you through every step including meeting you at the jail facility to facilitate any request you may have. Available 24hrs a day 7 days a week feel free to contact one of friendly agents today. We offer bail bonds through out Orange County, including: Santa Ana, Fullerton, Orange, Villa Park, Stanton, Cypress, Buena Park, Cerritos, Placentia, Yorba Linda, Anaheim Hills, Tustin, Westminister. Call us today for a Free Evaluation at (888) 998-1554.